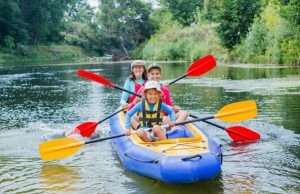 Though most of us don’t think twice about cruising in our boats to celebrate a summer day, for diabetic boaters, the scorching sun, too much exertion, and the mercurial changes of the sea can wreck havoc on blood-sugar control. In very general terms, there are two types of diabetics: those who are dependent on taking insulin because their bodies don’t produce the hormone (Type 1), and those who need to carefully control their diets and environments because their bodies don’t make enough or can’t utilize it efficiently (Type 2). 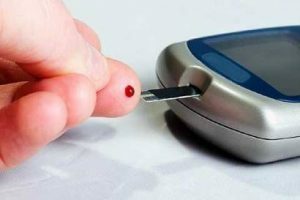 No matter the origins of their diabetes, those who suffer from it must keep their blood sugars within a range that allows them to avoid complications and distress. An unexpected glitch in a boating day could pose problems for a diabetic passenger or crewmember, as a delay in getting food or medication, or the experiencing of additional mental or physical stress, is likely to cause blood sugar to rise (hyperglycemia) or fall (hypoglycemia). Boating for diabetics should therefore never be spur-of-the-moment; they must always be prepared for eventualities. Michael Gibney, associate director for Medical Affairs for BD Medical of New Jersey, says diabetic boaters should remember that there are no convenience stores, hospitals, or pharmacies on the water. “You’re in a new situationâ€” a new environment,” Gibney says. “The wind is blowing, it’s nice and pleasant, and you’re out in the sun. That’s when too much sun can trigger exhaustion, and may even cover up the symptoms of low or high blood sugar.” He advises diabetic boaters to avert potentially disastrous outcomes by packing ample supplies of water and appropriate drinks, and to bring along testing strips and a meter to monitor blood sugar, along with insulin if appropriate. Don’t allow insulin or strips to be exposed to the heat of the sun; keep medication cool and keep all supplies into a zippered plastic bag within another zippered bag. It’s a different story for Type 1 diabetics dependent on insulin, however. Hypoglycemia requires immediate medical treatment to prevent potentially catastrophic consequences (hyperglycemia takes a toll over the long term and doesn’t pose an immediate danger, unless other symptoms arise out on the water). Gibney reminds diabetics to test blood sugar levels before they get onboard, and reiterates his recommendation to be prepared. Also bring plenty of food along, just in case. Pre-wrapped cheese and crackers, granola bars, peanut butter-filled crackers, and juice packs keep well and are helpful in controlling blood sugar when out on the water. Boating is part of the active lifestyle that doctors recommend for diabetics to stay in control of their health. Preparation, anticipation, and management are all that is necessary to stay healthy and avert complications.